A very thoughtful look at that plant there, I wonder what she is planning to do? 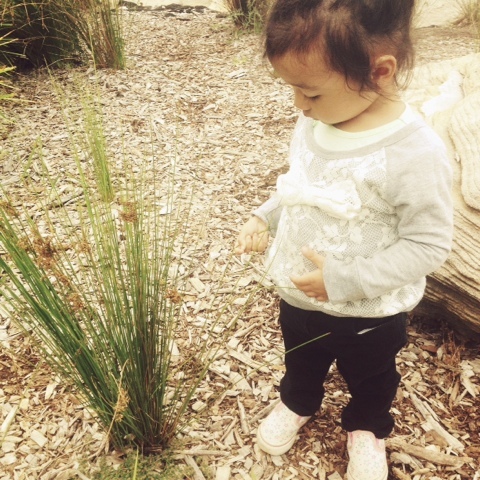 Awww looks like she is so fascinated with the plants. Adorable.